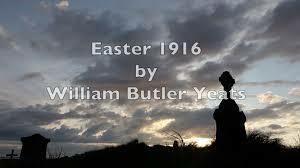 Title: Liam Neeson reads WB Yeats' Easter 1916 | RTÉ. Source: RTÉ - IRELAND’S NATIONAL PUBLIC SERVICE MEDIA. Date Published: March 18, 2016.